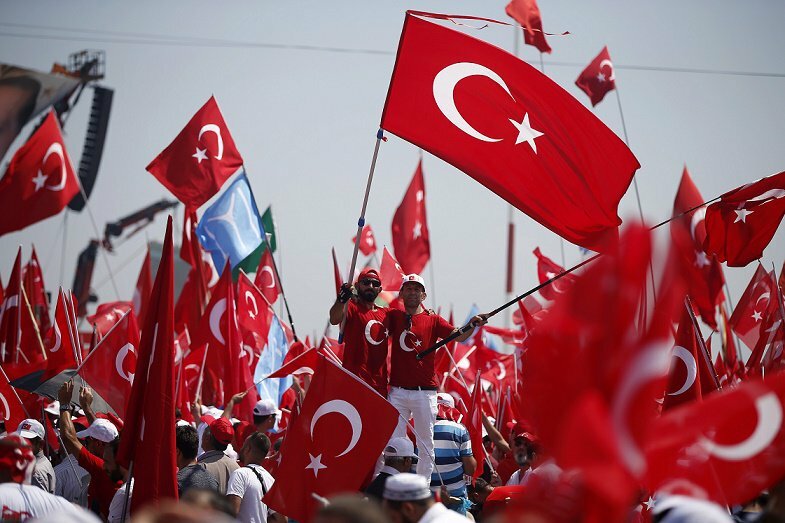 The July 15th failed coup in Turkey is a momentous occurrence, with uncertain implications for the future of the country, and serious reverberations regionally and with respect to relations between Turkey and the United States and Europe. Although many commentators rightly point to the risk to the rule of law posed by the sweeping post-coup purges, too few applaud the successful defeat of the putschists as an unambiguous victory for human rights and democracy. The US and western government’s criticisms of post-coup excesses would also carry more weight if they could show they were treating more seriously the allegations that the coup was plotted by a cleric given sanctuary in the US. For the harshest critics of President Erdoğan the coup is seen as ‘a counter-coup’ in reaction to the President’s alleged override of the constitutional system through his assumption of supreme leadership. It has even been called ‘a theater coup’ staged by the government to create a favorable political climate to further satisfy Erdoğan’s grandiose ambitions. For the supporters of Erdoğan the coup attempt was a confirmation of the earlier accusations that there existed deep in the Turkish bureaucracy, including the armed forces and intelligence agency, a parallel political structure of dubious loyalty that was intent on seizing power in defiance of democratic procedures. Yet, at this point, it seems that all Turkish citizens except those implacably hostile to the AKP government are convinced that it was a genuine military coup attempt whose defeat was highly desirable for the country. Such a conclusion is extraordinarily significant considering the polarized atmosphere that had existed in Turkey prior to July 15th, with the opposition deeply critical of the AKP approach to governance and intensely suspicious of Erdoğan. Since the coup attempt all of the major opposition parties signed a declaration of unity denouncing the coup attempt and pledging support for democratic procedures, including the rule of law. Beyond this, Erdoğan invited the leaders of the two main opposition parties to the Presidential Mansion for a meeting to sustain the spirit of cooperation. This display of unity among politicians in Turkish society is backed by the views of the citizenry. Despite concerns about Erdoğan’s leadership, few tears were shed for the coup plotters. Most agree that the undertaking was the sinister work of the Hizmet movement led by Fetulllah Gülen, a reclusive Muslim cleric living in Pennsylvania. For years, I had heard concerns about this movement, operating in secrecy, publicly preaching a doctrine of Islamic moderation while acting with the cultic devotion of political fanatics. This is a momentous shift in favour of participatory democracy and the rule of law.It’s worth noting that Turkish political culture had passively endured prior coups in 1960, 1971, 1980, and 1997. In 2016, the citizenry—with Erdoğan’s decisive encouragement—massively and courageously opposed such an effort to engineer a military takeover of the Turkish state, and this is a momentous shift in favour of participatory democracy and the rule of law. There is an obvious, and intriguing, comparison with events in Egypt over the course of the last five years. Egypt showed the Arab World in 2011 the power of a mobilized people to challenge an autocratic and corrupt government, and overthrow a despised, dictatorial leader. The uprising against the Mubarak regime was actually facilitated by the neutrality of the Egyptian armed forces, and its pledge to guide the country toward constitutional democracy. However, two years later, a military coup with populist backing occurred to overthrow the elected leadership. The result is an Egyptian government even more oppressive and authoritarian than existed during the period of Mubarak’s rule. Yet this return to Egypt’s past again expressed the historical agency of ‘the people.’ This is something new in Middle East politics where prior changes in governance resulted from top-down challenges. In Turkey, it was Erdoğan’s political genius to have recognized that the vast majority of the Turkish people would stand with the government rather than support the coup attempt; and they did, occupying key public sites, most notably at the Istanbul Airport, persisting despite being unarmed in the face of gunfire from coup supporters. Crowds rally at democracy celebrations following Turkey's abortive coup. While risks remain in the post-coup purges, the coup's failure may signal a step towards the rule of law and democracy. The signals are now mixed as to what will be the effects of the coup on democracy and human rights in Turkey. On the one side, is the seeming switch on Erdoğan’s part to a more inclusive style of political leadership that had been noticeably absent in recent years. It would be welcome news indeed if Erdoğan abandons the sort of majoritarian democracy that led to a defiant disregard of opposition concerns rationalized by the AKP electoral mandate. Far less encouraging is the seeming over-reaction to the coup attempt expressed by dismissing as many as 15,000 from educational institutions and continuing interference with a free and critical media. Unlike the large dismissals from the armed forces and branches of government, these attacks on the institutions of a free society, do not seem justifiable efforts to purge public institutions of dangerous and subversive elements. There are external dimensions of the post-coup realities that also complicate the picture, especially the feeling among the Turkish public and politicians that the United States was somehow involved in the coup attempt. This issue is being tested by whether the formal request that Fetulllah Gülen be extradited in accordance with treaty obligations will be honored so as to enable criminal prosecution, possibly involving the imposition of the death penalty. Extradition faces formidable difficulties. The legal defense of Gülen is sure to include several contentions: that he will not receive a fair trial; that Gülen’s activity was ‘political,’ and as such non-extraditable; and that efforts to restore the death penalty to enable his prosecution would be retroactive. Yet, if extradition is refused, Turkish anger will be intense. For Turkish public opinion harboring Gülen should be understood as roughly equivalent to what Americans would feel if Turkey had given safe haven to Osama Bin Laden after 9/11. It is helpful to recall that the US felt justified in a regime-changing attack on Afghanistan just because the Kabul government was giving sanctuary to the al-Qaeda leadership. Turkish suspicions are reinforced by the realization that Graham Fuller, former CIA bureau chief in Turkey sponsored Gülen’s application for ‘a green card’ legalizing permanent residence, reportedly visited military sites in Turkey shortly before the coup attempt, and published a pro-Gülen opinion peace strongly defending his innocence with respect to the July 15th events. Fuller’s portrayal of Gülen flies in the face of many seemingly reliable insider accounts of how Hizmet members plotted, subverted, and were obedient to orders attributed to Gülen. As of now, despite all the uncertainties, the failure of the coup attempt should be viewed as one of the few success stories of recent Middle East history. Whether this positive impression will be erased by repressive developments inside Turkey is uncertain. Much depends upon whether post-coup political unity is sustained and deepened, and whether a bold initiative is taken to reach an accommodation with the Kurdish movement that has been violently engaged with the Ankara government in recent months. It seems important for outsiders to be patient and to exhibit sympathy with the efforts of the Turkish government to rise to these daunting post-coup challenges without unduly compromising human rights and the rule of law in Turkey.